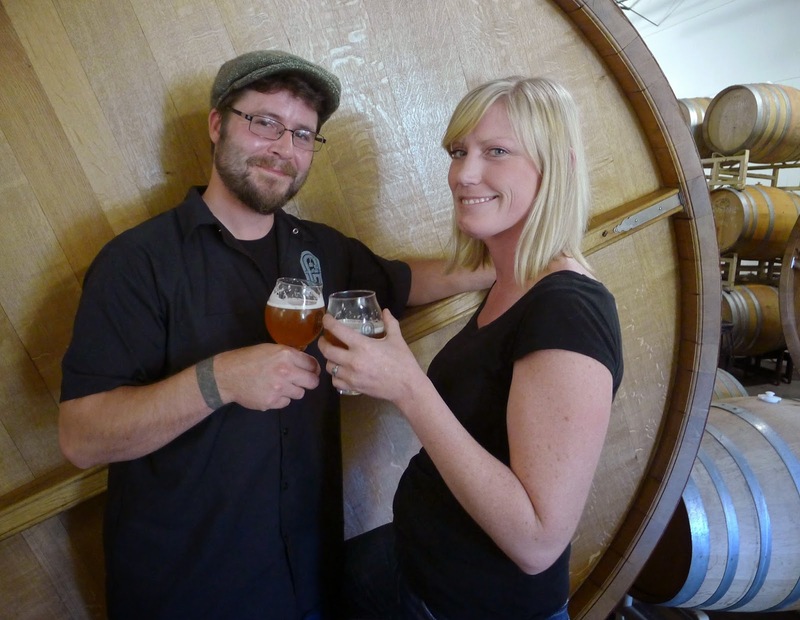 Two of craft beer's rising stars in Oregon will tie the knot today. Trevor Rogers and Linsey Hamacher, who operate De Garde Brewing in Tillamook, have been together for a number of years and are simply taking time out of their crazy schedule to make things official. I traveled to Tillamook last week to interview Trevor and Linsey for an upcoming BeerAdvocate article. This was my first trip to "cowtown" in several years. It's always a pleasure to take in the aromas of soggy dairy country while descending the highway into the town. De Garde, which has been around for less than two years, is turning Tillamook into a destination for folks desperately seeking wild beer. See, there isn't enough of this stuff to go around. Addicted patrons from Portland, Seattle and points beyond come here for their wild beer fix. In some ways, unmet demand is a nice problem to have. It allows De Garde to sell most of what they produce out of their tasting room. Keeping travelers happy is the main reason you seldom see De Garde beers in Portland. They have a plan to expand production, which will eventually put some of their beer on shelves outside Tillamook. I'll have more to say about that in the article. Anyway, congrats to Trevor and Linsey on the nuptials. Keep in mind that De Garde is closed today. But they will be open tomorrow.